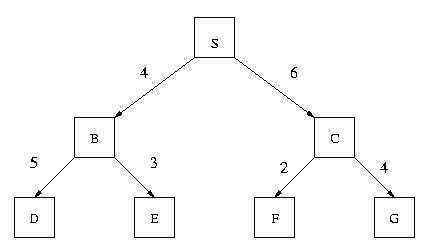 For EACH of the following search methods list the nodes in the order in which they are EXPANDED by the search method while looking for a solution. As an illustration, the solution for Depth 1st search is provided below. An alternative answer would be [S, B, D, E, C, F, G] if you use the convention that depth-limited search expands nodes that are in the "depth-limit level". An alternative answer would be the one below if you use the convention that depth-limited search expands nodes that are in the "depth-limit level".